I listen to WXRV, a great independent radio station that plays a mix of classic rock and new artists. I like to play “name that tune” with my kids when we hear a song on the radio. I encourage them to pay attention not only to styles of individual artists but also to styles of music in general. We’ll often try to pick out particular instruments in a song, which is helpful for trying to identify the style of the music. Today, a blues song was playing on WXRV, and my son Ben said that it was A Quitter Never Wins by Jonny Lang. I said that I thought is sounded like Stevie Ray Vaughan. And, indeed, it turned out to be The Sky Is Crying by Stevie Ray Vaughan. But if you listen to both tracks, you’ll see that the newer Jonny Lang song is definitely played in the style of the older Stevie Ray Vaughan song. The blues guitar riffs are very similar, as is the case with many blue-based rock songs (like the Rolling Stones) or plain old blues songs. In any event, I was impressed that Ben noticed the similarity. He’s ten years old. WXRV uses YES to provide links to its playlist, but in my experience, the information on YES is not provided in real time, and when I hear a song, I want to know who the artist is now, not an hour from now, not ten minutes from now. We were fortunate to hear the DJ announce the name of the song. Steaming radio stations, like Radio Paradise, don’t have this same problem – they broadcast (or stream) the song and artist info (the meta data) in real time. Want to know the name of a song? Look at you computer. Which is why the Copyright Office’s recent decision that Internet radio stations must pay higher royalty rates for music than broadcast radio stations is puzzling. 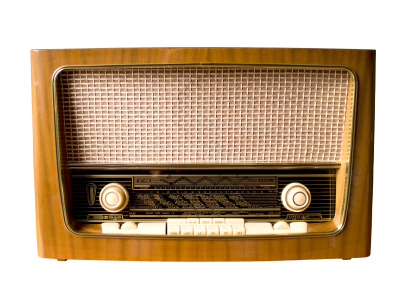 The Copyright Office is propping up old broken technology (broadcast radio) at the expense of newer better technology (Internet radio). This is the age of the Internet. Yet our government and industry are, in general, techno-phobic. It’s ironic, it’s embarrassing, and soon I hope it will be history. Next PostNext * Constant Contact Spyware?